A veteran of two decades in the barter business has been named CEO of Bentley Communications (OTCBB:BLYC), an e-commerce company that seeks to establish a new marketplace and distribution channel for global barter and trade. Kamm is the developer of VirtualBarter software which enables exchanges and their members to manage, merchandise, and market their products and services in an online barter marketplace. 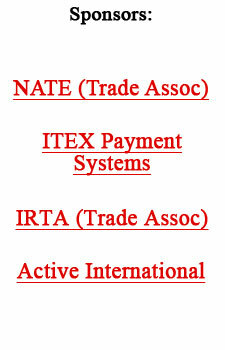 He previously established and managed the ITEX New York City office. It was ITEX's largest and most successful brokerage in the U.S. for many years, including 1999 when it did an annual trade volume of over $16 million. Bentley's executive management team includes Gordon Lee, Chairman of the Board and CFO; Bruce Kamm, CEO; Robert Schumacher, President and COO; and Joe Crump, President of the Bentley Crump Barter Network. Put your company's sales message in the next issue of BarterNews. Closing for advertising is February 1, 2004. For information on advertising rates, ad specs, et cetera, click here. Footwear and apparel giant Nike has signed-on to be a sponsor for the U.S. Olympic Committee making them being a participating sponsor/advertiser at the 2006 Winter Olympics in Torino, Italy, and the 2008 Beijing Summer Olympics. Under the deal, part of Nike's payment will be in the form of barter with the company outfitting all U.S. medal winners. It will also hold the official rights to apparel, headwear, footwear, and bags with the U.S. Olympic logo. Start The New Year Off With A Bang By Building Rapport & Empathy With Your Client Base!! According to a Junior Achievement poll, more teens want to work in business than become doctors, teachers or work in any other profession. About 74% of the girls and 62% of the boys said they would need a four-year degree or higher to get their ideal job. Black teens were the most confident they'd achieve their ideal job (43%). Hispanics were second (34%) and white students third (32%). Junior Achievement educates young people about economics and business. High-tech billboards above the Las Vegas Strip were the final touches on the renovation of the Fashion Show mall—the two-million-square-foot shopping complex. The billboards blare advertising and other presentations which can be heard a block away. Video screens move along a track that spans the length of two football fields 100-feet above the Strip. Rouse, a Columbia (MD) real estate developer, has spend $10 million on the exterior screens, and expects the new advertising vehicle to generate $9 million annually. Online eBay, which some in the barter industry see as major competition, continues to see rapid growth. Sales by merchants on its site reached $24 billion in 2003, up from $15 billion the prior year. Chrysler plans to put better equipped vehicles into rental fleets, in hopes that more appealing models will attract renters to its showrooms. In recent years the company (along with other auto manufacturers) have used rental fleets as "disposal units" for excess inventory. United Airlines will soon be offering a new way for frequent fliers to redeem miles via a music-downloading web site, along with Sony's "Connect" which will start up at the same time. Sony will develop and maintain a co-branded music site that is part of Connect, but set aside specifically for the 43 million members of United's Mileage Plus frequent-flier program. A Connecticut bed and breakfast, Dutch Iris Inn located in Granby, is looking to woo travelers throughout the country by offering tax preparation services as part of the overall lodging experience. What are today's CEOs' worst nightmares? Global terrorism has fallen far down on the list. The #1 concern today is over regulation, followed by increased competition, currency fluctuations, price deflation, loss of key talent, and then global terrorism in 6th place.